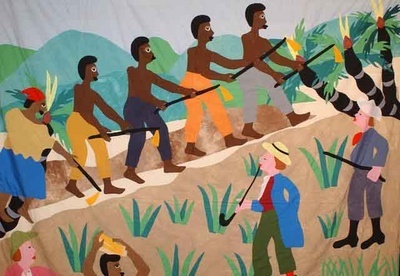 23 August: International Day for the Remembrance of the Slave Trade and of its Abolition. The night of 22 to 23 August 1791, in Santo Domingo (today Haiti and the Dominican Republic) saw the beginning of the uprising that would play a crucial role in the abolition of the transatlantic slave trade. Circular CL/3494 of 29 July 1998 from the Director-General to Ministers of Culture invites all the Member States to organize events to mark 23 August each year. The UNESCO Executive Board adopted Resolution 29 C/40 at its 29th session. The slave trade which, from the 6th to the 20th century seized millions of Africans from their homeland to deport and enslave them in different parts of the world, has long been a hidden history. In order not to forget this tragedy, UNESCO launched in 1994 in Ouidah (Benin), The Slave Route Project: Resistance, Liberty, Heritage whose aim is to meet the historical and moral obligation of tackling in a holistic, methodical and consensual manner this painful chapter in the history of mankind. In paying tribute, on August 23rd of each year, to the women and men who fought this oppression, UNESCO wishes to foster reflection and debate on this tragedy that has left its mark on the world as it is today. Indeed, by means of the accumulated capital during the trade and its investment in the industrialization of Europe and the Americas; by the cultural interactions stemmed by this tragedy that nurture modern art creation, and by the abolitionist movement which profoundly influenced human rights movements, this history has shaped our modern world. Through this project, UNESCO also highlights intercultural dialogue between peoples of different continents producing new cultural expressions partaking of the extraordinary diversity of the world, of its creative force and its ability, as we know it, of perpetually reinventing itself. . Artistic expressions such as the Blues, Jazz, Soul, Reggae, Mayola, Candombe, Hip hop, Tango, Capoeira, but also religious manifestations and expressions such as Voodoo, religious syncretism - are some of its results and constitute our common heritage. Therefore, far from being a thing of the past, the issue of slavery and the slave trade questions us all. Furthermore, it especially engages the younger generations who have appropriated this legacy and who are fully mobilized in the struggle against racism and discrimination, lingering effects of this history. This past ultimately challenges us because it raises questions concerning issues at stake today, such as national reconciliation, respect for cultural pluralism, construction of new identities and citizenships in a changing world. On the occasion of this Commemoration Day, everyone is invited to this duty to remember, to reflect on the consequences of that past on our present, on the new requirements of living together in our multicultural societies and on the fight against contemporary forms of slavery of which millions of human beings are still victims today. The concept of slavery and in turn the slave trade of recent memory - which still lingers in pockets of the world is one of the biggest stains on the reputation of mankind - along with hatred,greed end racism.Only when we transcend these traits of our dark shadow does humanity stand a chance of fulfilling our potential, and a higher,loftier thing.